OUR name tells you a lot about us – we supply and service power tools and air tools for just about all trades! 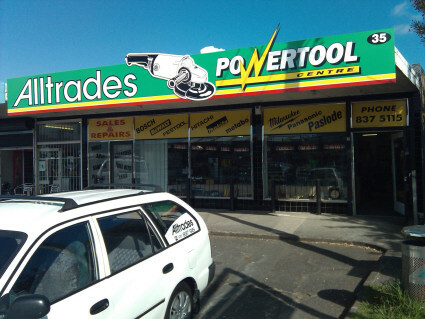 Set up in 1991 by Gayle and Malcolm (the silent partner) Paynter, Alltrades Electric Tools has built an enviable reputation with builders, sub contractors and manufacturers in the west Auckland area. Gayle and her team have well over 20 years collective experience in sales and service. An impressive array of leading-brand power tools is always on display in the sales showroom on Henderson Valley Road, and the backroom boys (that’s the service crew!) are renowned for the excellent quality of their work and for getting the job done quickly.